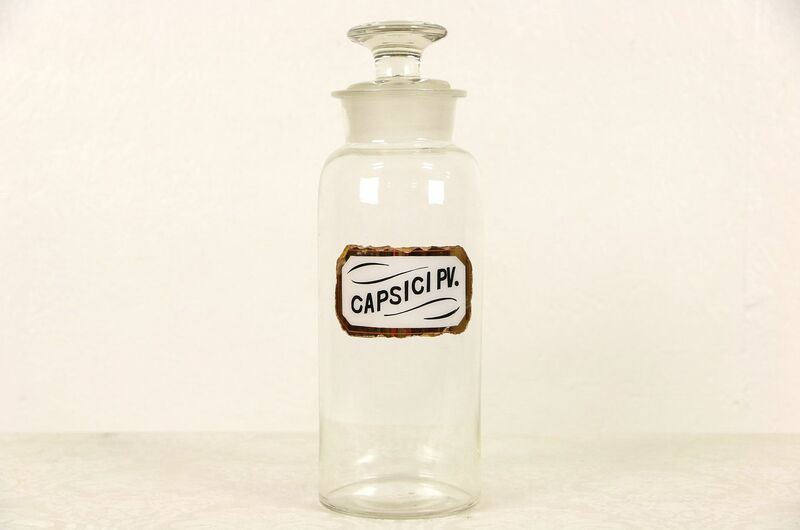 An apothecary or drug store glass medicine jar has a fitted ground stoppers and label of black, red and gold hand painted in reverse on curved glass overlay. There are numerous sharp losses at the edges of the glass label overlay plus a chip at the top of this American made medical antique. There is etching inside that does not show when filled with fluid. Size is 4 1/2" diameter and 12 1/2" tall.